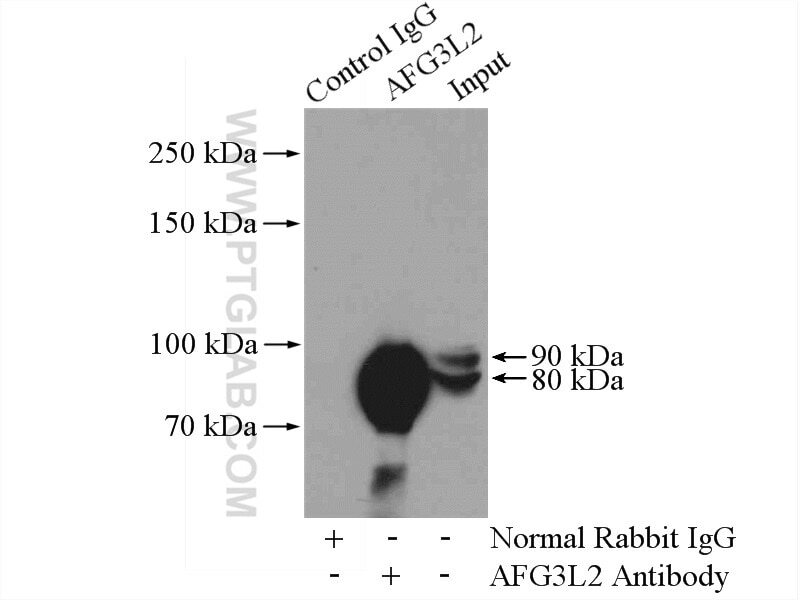 Immunofluorescent analysis of HepG2 cells, using AFG3L2 antibody 14631-1-AP at 1:25 dilution and Rhodamine-labeled goat anti-rabbit IgG (red). 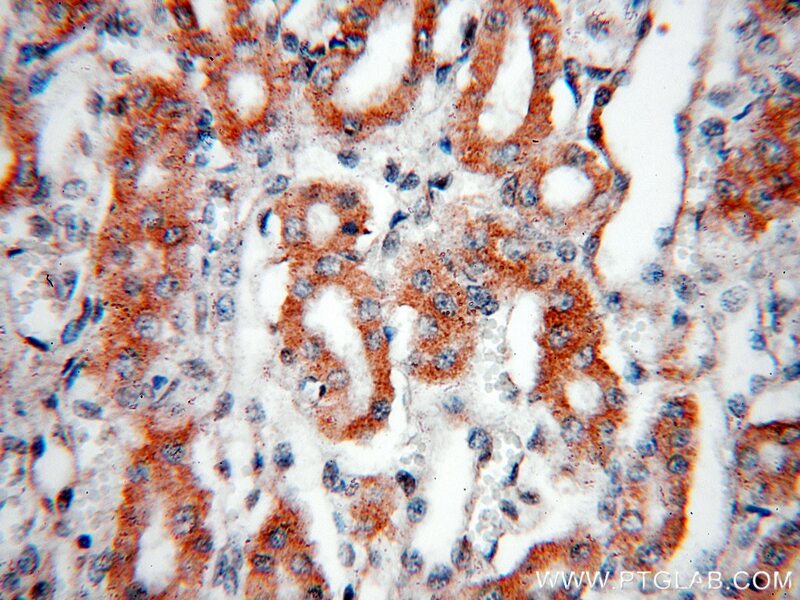 IP Result of anti-AFG3L2 (IP:14631-1-AP, 4ug; Detection:14631-1-AP 1:1000) with mouse kidney tissue lysate 4000ug. 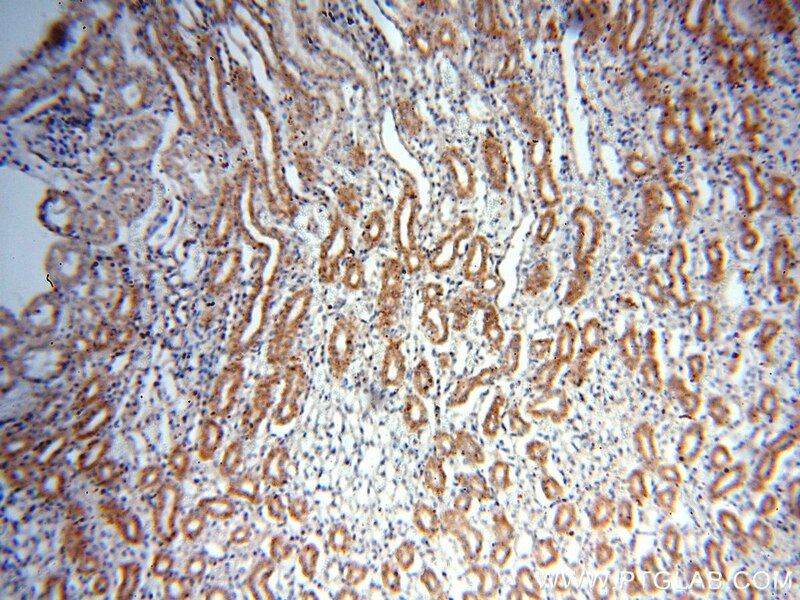 Immunohistochemical analysis of paraffin-embedded human kidney tissue slide using 14631-1-AP( AFG3L2 Antibody) at dilution of 1:200 (under 10x lens). 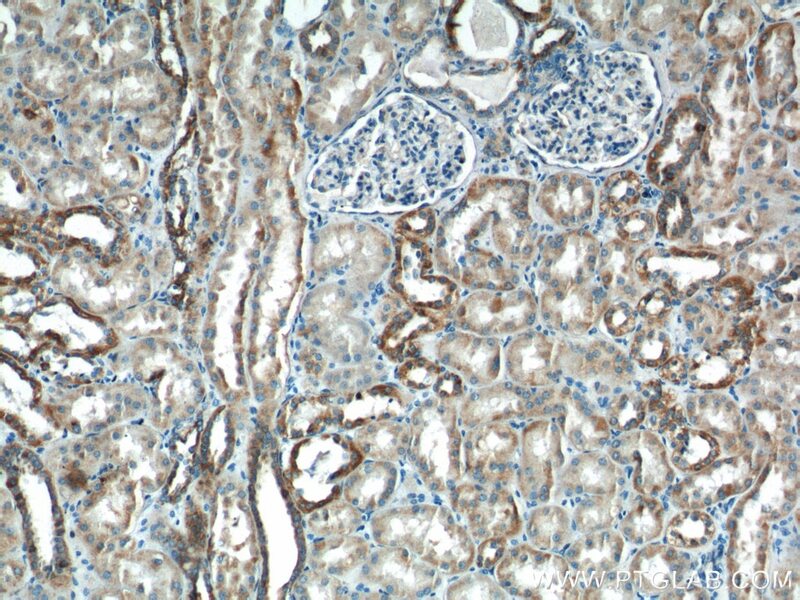 Immunohistochemical analysis of paraffin-embedded human kidney tissue slide using 14631-1-AP( AFG3L2 Antibody) at dilution of 1:200 (under 40x lens). AFG3L2 is the catalytic subunit of the m-AAA protease, an ATP-dependent proteolytic complex of the mitochondrial inner membrane that degrades misfolded proteins and regulates ribosome assembly(PMID:17101804). 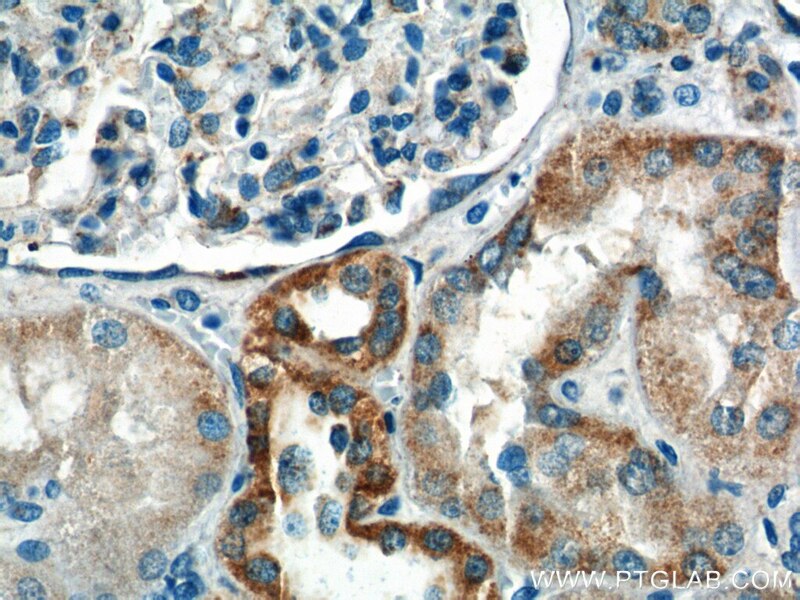 Human AFG3L2 is an 80-kDa protein encoded by a 17-exon gene and highly and selectively expressed in human cerebellar Purkinje cells(PMID:20208537) and it can exsit as a truncated 65 kDa protein(PMID:18337413). Defects in AFG3L2 are the cause of spinocerebellar ataxia type 28 (SCA28) and spastic ataxia autosomal recessive type 5 (SPAX5). Mitochondrial stress response triggered by defects in protein synthesis quality control. 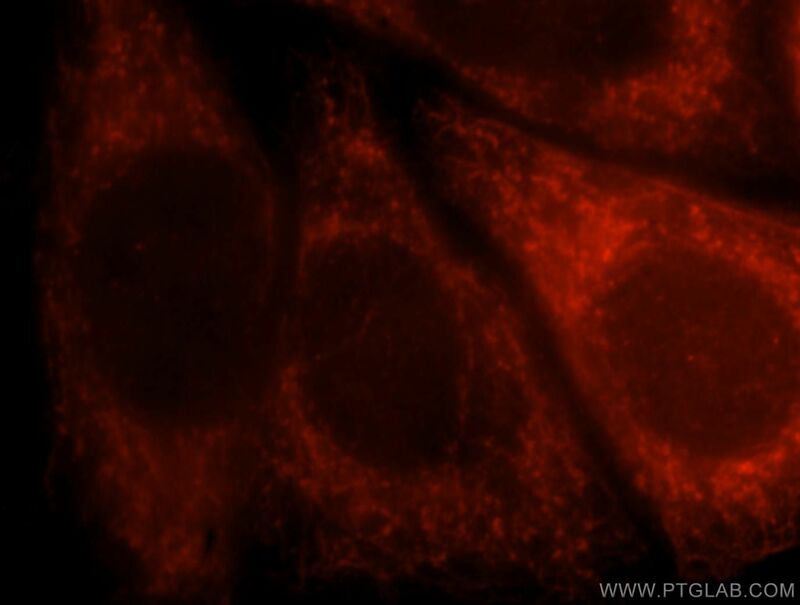 Deletion of Gtpbp3 in zebrafish revealed the hypertrophic cardiomyopathy manifested by aberrant mitochondrial tRNA metabolism. Mutations in the SPG7 gene cause chronic progressive external ophthalmoplegia through disordered mitochondrial DNA maintenance. Quality control of mitochondrial protein synthesis is required for membrane integrity and cell fitness. Novel MTND1 mutations cause isolated exercise intolerance, complex I deficiency and increased assembly factor expression. Proteolytic control of the mitochondrial calcium uniporter complex.